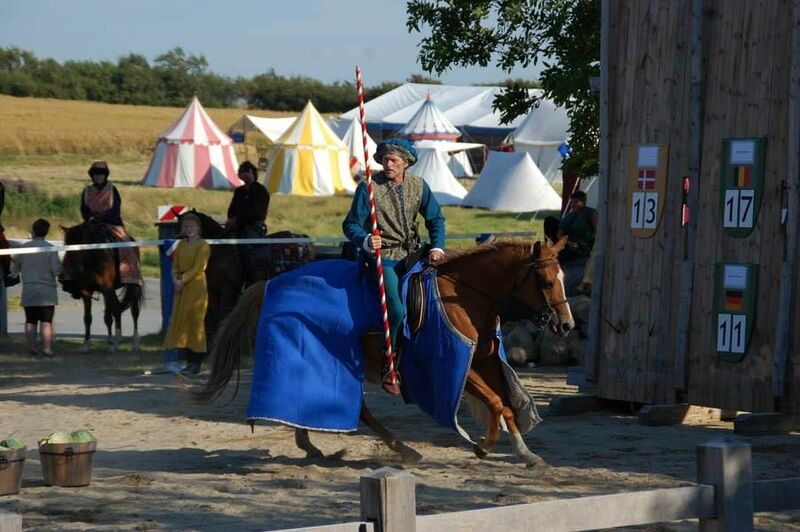 Ole Bach of Viborg, representing Denmark, is again the leader after the second day of competition during the European Championship Jousting Tournament at Spottrup Castle in Denmark. The remaining days of the tournament will involve the jousting portion of the competition. First the preliminary rounds, then the semi-finals, with the finals and the announcement of the tournament champion being the highlight of the last day of the Bishop's Market Medieval Festival.